Vietjet Air was listed in the world’s 50 best airlines for healthy financing and operation with a better ranking than many prestigious airlines by Airfinance Journal, It is the first time that a new age carrier from Vietnam was ranked 22nd among the world’s 50 best airlines. Financial ranking based on the latest trailing twelve month data (LTM), evaluating 5 indicators including“average age of the fleet”, “earnings ratio before interest, taxes, depreciation, amortization, and rent costs over revenue (EBITDAR/ Revenue)”, “Fixed charge cover”, “liquidity as % of revenue” and “adjusted net debt/ EBITDAR” . 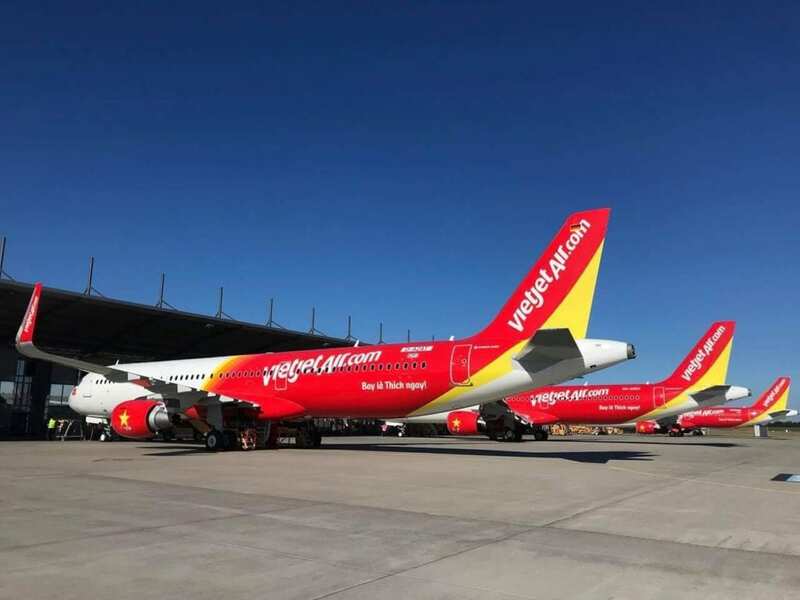 As planned, Vietjet would receive 17 Airbus aircraft in 2018. In the first 6 months, 4 Airbus A321 aircraft were received. In the second half of the year, Vietjet will receive 13 more aircraft and expect additional revenue from this aircraft transfer. By operating the new, modern fleet which saved up to 15% fuel consumption in parallel with international flight network expansion, Vietjet continued to increase its ticket sales in foreign currency, extra revenueratio and reduce fuel cost when the fuel price in the foreign countries were lower than in the domestic by about 30% as a result of taxes and fees.